'Nellie C' is a Lot of boat, A long range deep sea fishing boat, that will take you anywhere you wish. A Professionally built Cramm, with plenty of room for the crew, with large 4 berth bunks in the V berth, spacious double port cabin for the skipper. With her twin 903 Cummins 295 hp she will economically cruise at 12 knts or top speed of 15knts. If you want more out of her all you need to do is re-prop with larger 4 blade and she will plane. She holds 3,000 L of diesel to keep you at see for long periods. Built to Survey in 1984 and remained in survey till 2007. With commercial fishing licences available, as well. 2 live bait tanks, large Fishing esky, cradle for your dingy on the bow and much more. This is great value. 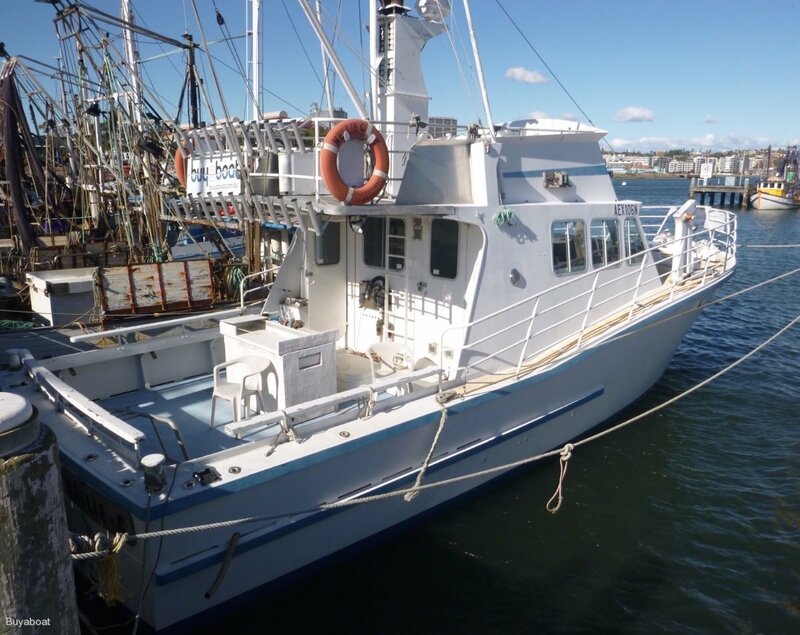 The Owner has used her for fishing trips with his mates, she would easily go back into survey. Twin Cummings 295 Hp Shaft drives raw water cooled, consumption of 26 L an hour at 10 knts. Two single props with Hydraulic steering. Engine room: Large engine room with access from cabin and rear. Gas stove, oven, microwave, Electric fridge, galley table and plenty of cupboard space. Chest Freezer, fridge, and 500 L ice box. Separate electric with hand basin, needs servicing. No dingy but cradle and davit arm on bow. Electric Winch, 2 plough anchors one reef anchor, 150 M chain and 150 M of rope. TV, FM radio, CD, Shore power, 24 V lighting, 14 Lead acid batteries, 12 for motor house, 2 for genset. SEIWA Autopilot, Chart plotter, Humming bird Sounder, Radar, VHF, 27 mhz. Boat ladder, Rocket launchers, live bait tanks, outriggers. Just antifouled May 2015, licensed to carry 12 plus 2,'Nellie C' is a great boat, plenty of room, solid sturdy ocean vessel. Use her for fishing, live aboard.